Me and my husband have two pitbulls, both males . one is 5 months and one is a year and a half. Rambo, and Two Face. 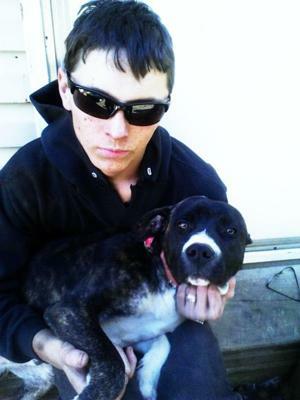 I really wish you would not try to look so mean and tough with your pittie!!! !You are just going to add to the bad reputation these dogs already have.